Which band is Australia's premier act for drunk men to hug to? Which dance floor smash owes its existence to an elderly Canadian stand-up team? 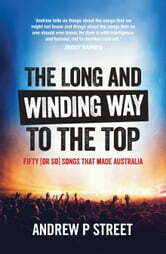 How does housing affordability threaten Australian rock? Which surprising artist is technically Australia's arguably-more-successful Beatles? Which of our alternative national anthems were written by Americans? What ultra-Australian song cut 'Vegemite' from its lyrics for being too on the nose? And most importantly, what's with all the bagpipes? 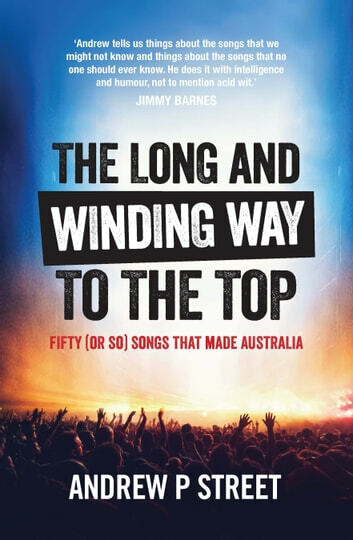 Andrew P Street-writer, critic and obsessive Australian music weirdo-tries to answer these and many, many, many other questions you never thought to waste time asking in this history of Australia in 50 songs (or so). Deeply cheeky, unashamedly nostalgic and endlessly enthusiastic, this is a dive into our national playlist from the birth of rock'n'roll to the reign of Australian hip hop and just about everything in between.